Want to win a lottery jackpot? There's an app for that! People use their cell phones for everything these days, and entering the lottery is no exception. While nothing can guarantee that you will hit a big jackpot, there are plenty of lottery apps out there that can make entering (and winning!) easier, more accurate, and more efficient. Here are just a few of the useful things that you can do if you download a lottery app for your cell phone or mobile device. If you haven't been having luck choosing your own winning numbers, a lottery app might help. An app like the one from Random.org lets you generate random numbers for your lottery tickets. You can also use a lottery number generator like Lottery Formula, which includes statistical information for a bunch of different lotteries including MegaMillions, Powerball, and state lotteries in its number recommendations. You can pick whether you want to choose numbers that are drawn frequently, numbers that appear more rarely, or your own lucky numbers to play. If you want to play favorite numbers like birth dates of your loved ones, personal lucky numbers, or meaningful anniversaries, lottery apps can help make sure you don't get mixed up. An app like the MegaMillions and Powerball App stores your lucky numbers so that you don't make any mistakes when it's time to buy your tickets. Have you ever found out about a huge jackpot too late to try to win it? Lottery apps can make sure that never happens again. Many apps, including the apps offered by nearly every state lottery, give you the chance to get alerts when their jackpots hit a certain level. You can decide whether to get an alert when the jackpot amount changes at all or when the amount you could win makes it worth it to you to play. Lottery apps give you different ways to be notified including through push notifications on your phone or by email. Pick the notification method that's most likely to get your attention. Using jackpot alerts ensures that you don't sit on the sidelines while someone else scoops up your huge lottery win. Big lottery drawings are usually broadcast live on television. But what if you've cut your television cord, aren't usually sitting around on the couch in the evenings when the broadcasts are made, or would rather be watching something else at that time of night? If you'd like the excitement of seeing the lottery drawings performed live but don't want to be bound to your television set, download a lottery app like LotteryHUB, the official app of Powerball and MegaMillions. Apps like LotteryHUB let you stream the lottery drawings so that you can watch them live, even when you don't have a television around. If you don't have time when the drawing takes place, you can also watch older broadcasts that you missed the first time around. 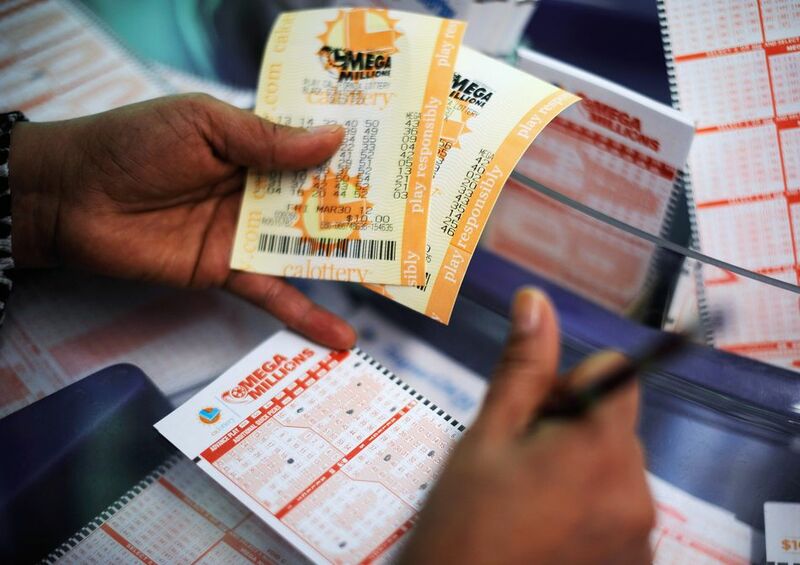 Studies have found that in some years, over $2 billion goes unclaimed by U.S. lottery players. Most of this money is left behind by people who only checked the jackpot numbers and when they didn't hit the jackpot, didn't pay attention to smaller prizes. Lottery apps can help you ensure that you don't overlook a prize win, big or small. If you like to play different kinds of lotteries, it can be annoying to have to keep track of the winning numbers to check. Plus, it's easy to forget the drawing date altogether and only remember that you had a ticket when it's too late to claim your prize. A lottery app can make checking your lucky numbers a snap. An app like LotteryHUB gives you a one-stop location to check MegaMillions, Powerball, and state lotteries, quickly and easily. If you have a specific lottery you like to play, many state lotteries have their own apps for you to use which makes it easy to check their numbers quickly, wherever you are. Some lottery apps even give you the option to scan your tickets to check if you are a winner and be notified if you have a winner. One word of caution, though: some people have missed out on wins because their apps didn't work properly. One example was a massive fail with the UK's National Lottery app. The National Lottery App is supposed to let users scan their tickets to see if they are winners. But a problem with the barcode reader caused the app to overlook legitimate wins. Lottery players who used the National Lottery app may have thrown away winning tickets when the app showed no correct numbers. To avoid this problem, it's a good idea for any lottery app users to double-check that the scan worked properly and that all your numbers are showing up properly before throwing out a ticket. It doesn't hurt to use a different method of checking your numbers, too, in case that a notification doesn't come through or gets overlooked. Setting up a lottery pool at work or with your friends is a good way to raise your odds of winning a jackpot. But managing a lottery pool can get complicated. Mistakes can lead to bad feelings and even lawsuits. Apps can help make your lottery pool management easier and help ensure everyone is on the same page. An app like Crowdlotto or Lottery Pool Boss lets you see who is participating in each drawing, which numbers are on the tickets that the lottery pool has purchased, and what the payouts will be for each member if any of the tickets are winners. This helps avoid misunderstandings like which numbers are part of the lottery pool, who exactly is participating, whether you have collected money from each participant or not, and how many shares each participant has purchased. Plus, it makes divvying up any earnings at the end easy and transparent so that no one wonders if they really received their fair share or not. Many state and national lotteries offer second-chance drawings for people who buy their tickets but don't win. Do you ever bother entering? If not, you should. The odds of winning a sweet prize are often much better than for the jackpot drawing. This Gamboool article puts the odds of winning a $42,000 prize from a California Lottery second-chance drawing at 10 times easier than in the original giveaway that entrants tried to win, and you don't have to spend another cent to enter. That's not bad! These days, many states allow second-hand entries only online or through their mobile apps because they want to limit the number of entries you can get using discarded lottery tickets found in the trash. Using your cell phone to enter these giveaways through your lottery app is a shortcut that will put you in the running for some really sweet cash prizes, cost nothing, and take only a few seconds of your time. Be sure to check each lottery you enter to see if a second-chance drawing is available and, if so, what the payouts and odds of winning are. If you wish you could buy lottery tickets online, prepare to be disappointed. As this article by Forbes describes, only a few states offer online purchase for lottery tickets. However, in some areas, apps can get around that problem. For example, Jackpocket will let residents of New York and some other states use a lottery app to buy tickets remotely. Jackpocket doesn't actually buy tickets online; rather, the company charges you for your tickets and then sends a person to an authorized lottery retailer to buy the tickets for you. They hold your tickets securely until after the drawing, sending you a copy of your winning numbers for verification. If you win a prize worth less than $600, the amount will be credited to your Jackpocket account. If you win a prize worth over $600, they will securely send your ticket to you to redeem. This lets Jackpocket circumnavigate how difficult it is to buy lottery tickets online and lets you purchase your tickets safely as long as you live in an area serviced by the company. If you live in the UK, the National Lottery App lets you buy tickets from your smartphone. An internet search should show you whether people in your area can use apps to buy lottery tickets. Be careful about apps and websites that offer to buy lottery tickets for you, to ensure that you don't fall for a scam. Read reviews check for complaints, and see whether any major news organizations have covered any app that you consider using to buy lottery tickets for you. Ready to Try a Lottery App? There are many different lottery apps available. Find one that's right for you, depending on which lotteries you play and which features you need, at the Google Play Store or the iTunes App Store. Can Software Help You Predict the Lottery?